Luna: More progress with the felting technique and wire. More progress with the felting technique and wire. 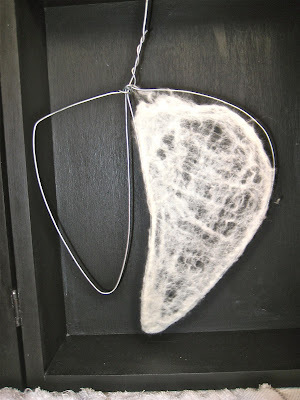 Felted shapes pinned to wire. At this point not sure how to attatch. So onward. I decided to redo them and hope for better. Using sharp scissors I cut the felt shapes off at the boundary. I liked how they held their shape. 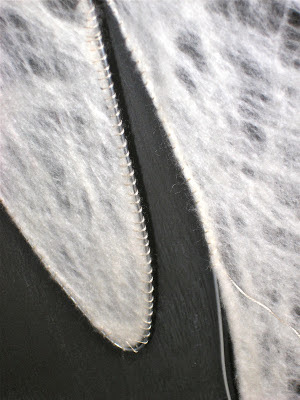 Then I figured on stitching them back on using the stitching to further the conceptual aspects. It took three goes to get the stitching right but finally I'm happy(ish) enough with them. 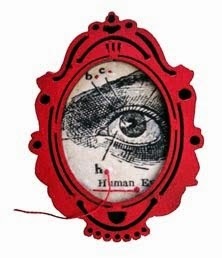 Next the heart.